It would be fun to have a comprehensive list of QuickBooks bugs, at least as far as the desktop product. Want to help? Over the years I’ve tried to build a list like that, on several occasions. I never keep up with that, though, because it tends to be an exercise in frustration. When Intuit releases a new “year” of QuickBooks desktop, they almost never list what bugs they have fixed. I know that they fix some each year, but which ones? If I build a list, then each year I would have to check each one against the new product, and that becomes very tedious. Besides, doesn’t it always seem that Intuit ignores the bugs that affect you the most? In all fairness, I do understand that one person’s bug is another person’s feature. 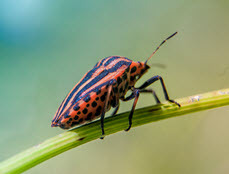 I learned that in my years as a software developer – if you fix a particular bug then someone is going to complain that you removed something from the program that they were taking advantage of. Or that the fix you put in place made the program harder to use (even though that was necessary to resolve the bug). So, why am I asking for your help in building a list of QuickBooks bugs this time around? Well, after my recent article QuickBooks Desktop Is Alive and Well, I was asked by some folks at Intuit if I could give them my list of bugs to fix. Embarrassing! I don’t have a list! Even though I complain about there being bugs in the program. Please help me list the things in QuickBooks desktop that you consider to be a bug! I want reproducible “bugs”, not complaints about how you think Intuit has treated you poorly for some reason. I’m not looking for a list of features that should be there. That is a different discussion for another time. QB routinely closes open purchase and sales orders. Appears others have had the issue as well. I’ve never figured out exactly how or why it does it though. That is one that I’ve never run into. Things that are intermittent are really tough to deal with, unfortunately. -The Maps link on a contact backend-app load-balancer should be monitored; in Feb 2016, maps went offline for over a month, and now intermittent again the past few weeks. Intuit is using a load-balancer into an app server that proxies Google Maps (from what I have been able to glean). Apps apparently fail, but the load-balancer keeps pushing to the failed instance, and then users start getting an intermittent Server Connection Failures. -Also, external services (like Maps link) data—in 2015 at least—goes HTTP, not HTTPS! Thanks. QB running in the background won’t be an issue in the future, since the supported versions are all being changed to drop the option to keep it running in the background. VERY OFTEN during “batch entry”, QB stops remembering transactions and I have to go to preferences to click the “remember” button again. This happens in different year programs and it doesn’t make any difference if I am working directly on a client’s computer or if I am using an Accountant’s Copy. One of my most frustrating is when the program “crashes” when reconciling…it started with 2010 version, and they never did get it completely fixed through the years. Every once in a while I’ll be reconciling a bank statement, and the program locks up, and closes. Marie, if it is occurring with your one particular QB company file, that sounds like you have a bit of file corruption causing an issue. Hard to say without looking at the file. Hi Charlie: Thank you very much for this. I believe many QuickBooks Desktop bugs are no problem in the new QuickBooks Online. However, a separate QBO list would be a big help. I cannot contribute to it, as I do not recall a QBO problem, but Intuit should fix any found quickly (as opposed to QuickBooks Desktop fixes). This is part of the reason I disagree that QuickBooks Desktop is Alive and Well. It has been losing many users for some time. There also are now around three times as many QBO users, growing more than 55% a year. The outstanding new QuickBooks Machine Learning is only for QBO. 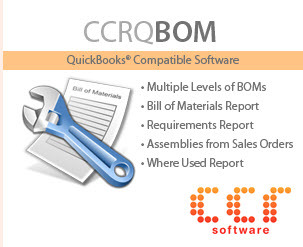 The incredible free QBO Accountant (which non-CPAs can get) should really doom QB Desktop. It is now much faster, easier and more secure. It also has a complete Practice Manager and even runs when you lose your internet connection. Good to hear from you, Mike. Certainly, any specific problems in QB desktop won’t be also found in QB Online, because they are two totally unrelated products. However, QB Online has its share of bugs. I’m focusing on the desktop product in this blog, however. Yes, the number of users for QB Desktop are declining, but the revenue generated by QB Desktop is actually increasing, and it is significantly higher than what is currently generated by QB Online. Certainly, the future for Intuit is QB Online, but the desktop still has a lot of life. And there is a renewed interest at Intuit in the desktop product, as they realize that it fits a need that QB Online can’t address. I have Quickbooks Pro 2016 and this problem just suddenly cropped up. I have tried to download bank statements and I get to where I click on it, it opens the PDF and then Quickbooks crashes. never had the problem before. Also I can do it without issue in my web browser. You don’t download bank statements in PDF to QuickBooks. Try downloading a .QBO file from your bank’s website and importing it using the File>Utilities>Import>WebConnect command. If you haven’t connected before, choose to connect or link to an existing account. When exporting a report to an existing excel spreadsheet, if I have to browse to find the existing spreadsheet, it crashes every time. This happens in 2015 & 2016, haven’t tried a later version yet, maybe it was fixed? Also, the bank feeds entry screen has been glitchy for years in my opinion. Random weirdness, like not accepting the first letter you type in while adding a vendor on the fly, or jumping to an entry way down the list while copying & pasting in the accounts column. I don’t see the Excel issue on my installations of 2015 and 2016. You might try doing a “repair” (via control panel) of your Microsoft Office installation, to see if that has any effect. I’ve got a beauty. It has to do with multicurrency. Let’s say you have a vendor (who sells you products) based in Europe. Of course, their price will be in Euros – not CAD$ (for me) or US$ (for you). However, QuickBooks is of two minds as to whether the cost you put in the Item (let’s assume it’s an inventory item for now, but it doesn’t matter) is your cost in Euros or in your native currency. If you open a purchase order, and put the items in BEFORE selecting the vendor, and that vendor happens to use Euros as their currency, it will keep the amounts the same; in other words, it treats the costs from the item list as Euros. However, if you select the vendor first, THEN add the items, it treats the costs as being in your native currency (CAD$ for me) and converts the costs to Euros based on the conversion rate! This is clearly a bug. If you happen to list a favourite vendor for an item (and that vendor happens to use Euros as its native currency), then the “false conversion” happens as soon as you enter the item into the PO (this happens for Bills as well, by the way). If you happen to be a company (like at least 2 of my clients) where over 90% of their purchases are from Europe, this becomes a real PITA. You don’t want to put in the local currency equivalent to the Euro price, since that changes daily. You WANT to enter the Euro price in the item list – and have QuickBooks respect that. When an item is sourced from a foreign country (as evidenced by the “Preferred Vendor” field for the item), QuickBooks should respect that the costs entered in the item list are in the currency of the vendor. FYI, I reviewed this issue at length with Intuit here in Canada; it is a repeatable behaviour, and an unwanted one therefore a genuine bug! I’ve never liked how multi-currency works in QuickBooks. Are you using the Canadian version, or the US version? I talk to a few people every week who run into this: They run Rebuild Data, and it somehow disconnects payments from invoices or vendor bills. The affected vendor bills and/or customer invoices then get reopened, and GL and customer/vendor balances get all messed up. In these situations, the data becomes unrepairable by IDS or us or anyone else (as far as I know). I tell people they have to restore their last pre-rebuilt backup, which is usually a painful experience. The pre-rebuilt data has data corruption also — it fails Verify — but it is usually repairable. But not by the Rebuild Data command! Running Rebuild on such files makes it worse. Furthermore, the problems that are caused by the reopened transactions sometimes aren’t immediately obvious, and so users carry on for days or weeks before they notice something is remiss. And then they’re in a pickle. In my opinion, this is due to a bug in the Rebuild Data command, and it should be a high priority fix. Thanks, Shannon. There are a couple of situations where “Rebuild” creates problems. The real key is finding an easily reproduceable situation, which I’ve found to be difficult, usually. When I try to save a tax form from QB Accountant Desktop to DropBox, QB always crashes. It does it in all versions. My work-around has to be to save it to my pdf writer software, then I can save to DropBox. How’s that one for a head-scratcher? Mary, is this the desktop product that works with the QuickBooks Online database? Unfortunately, not the focus of this article. Personally, I don’t like DropBox for a number of reasons, but that is besides the point. Lots of people complain about the forms issue. But, it isn’t consistent, some people don’t have the problem. A head scratcher! Access to the Income Tracker is problematical. The feature allows you to see time and expenses, and receive payments, and general journal entries, and more. That means that the user has to have pretty wide access. Intuit would have to find a way to limit what features are included based on permissions, and that makes it a more complicated issue. Charlie, super good to have you do this compilation. You already know about this pet peeve of mine for a few years: Inventory Valuation Summary report does not include items marked inactive. It is the only report in QB where “value” does not trump “active/inactive” status. It is a problem when trying to compare between Inventory Asset in GL or Balance Sheet and the (supposed) subsidiary ledger Inventory Valuation Summary report in prior periods, where inventory parts may have been active and have on-hand value on the prior date but are inactive as of today (the day we are running the analysis) and therefore excluded from the Inventory Valuation Summary report. Yes, good one, Mario. Add to that the issue of journal entries that affect the inventory asset account not being included, so that the inventory valuation report balance doesn’t match the GL. A problem I’ve noticed for years in many different versions of Quickbook’s is when entering the date to pay liabilities. Let’s say that I have 3 liabilities to pay. I enter the date I want the liability to be paid. It changes on the first two, but never on the third, or last one to be paid. It doesn’t matter how many I need to pay, the last entry for payment NEVER updates with the date that I enter. Anyone else ever notice this? It’s been over 10 years and on every version that I use, from Enterprise to Pro and others. Interesting. I’ll have to try that one. 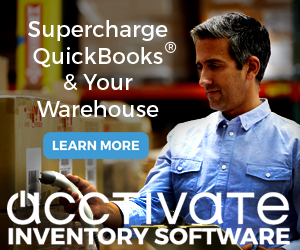 Using Quickbooks enterprise. I have been looking for a way to get Sales orders show calculated weights for my shipping dept. The Subtotal item feature works great for this but I am having one big issue. After creating a new order, Adding a few items and adding the new “subtotal” item in the last line. The Subtotal line does its job and shows all the calculated weight for all items on the order up until I try to print. As soon as I attempt to print the Subtotal line reverts back to an un totaled number and prints. Barrie, I’ve been playing with this. I cannot get it to work that way. If I set up a subtotal, save the sales order, the totals that show on the screen also show on the printed form. Both the sales order as well as pack lists, etc., as long as the column is marked to be printed. We have been having the same issue regarding Subtotal reverting back. It is causing serious issues with our LTL shipments & being charged for additional weight. We also have the freight line dropping an amount if anything gets updated when processing the order. QB support says we need to rebuild which we have done with no resolution to our problem. I’ve not had that happen on my systems, so I don’t have a specific answer. Just doing a rebuild by itself doesn’t always fix things, you have to examine the QBWIN.LOG file to see if there are errors that aren’t corrected. That can be tricky to understand, though. And telling someone to do a “rebuild” is often just like telling someone to “reboot your computer” – an answer of last resort when you don’t know what else to say, BUT that sometimes fixes problems. I would also suggest doing a “repair” of your QB installation via your Windows control panel (which is another “answer of last resort” that sometimes works. Beyond that, you need to find a good QB expert who can sit down and look at your situation directly. You may consider this a feature, but I consider it a bug. When pull a time entry onto invoice or sales receipt, the timekeeper does not show. There’s a field for timekeeper but it has to be filled in manually. That’s just silly! Wonderful idea Charlie! I have noticed in the last 2-3 years, several clients experience (cash basis) out of balance Balance Sheet errors. Doesn’t seem to matter which QBDT, Enterprise version or year. I have run rebuild, reviewed reports, troubleshooting to pinpoint possible corrupt transaction, changed report date to future date, etc. The error in inconsistent, one day it’s there, another it’s not. Please add this to the list! thank you again. Hi Charlie. Thanks for pursuing this topic. I have several clients that cannot turn off the Billable checkbox feature, even after checking the boxes in Time & Expenses. New transactions are still being marked as billable by default. One more, when creating entries that post to balance sheet accounts, if there is a customer name in the corresponding field the entries mysteriously become billable even though no checkbox appears on the form. I don’t trust the ABU feature after finding ‘tmp’ files in the backup directory. The fix was to switch to multi-user and back, but it doesn’t always work. I no longer rely on ABU. The “saved pdf” feature is not reliable in the forms history of the payroll center. This is super weird. I enter time sheets for a contractor, and bill the hours out weekly to customers. Every once in a while, the program decides to make hours that I billed last week billable again. I bill thousands of dollars a week in time and if I’m not super cautious, I’ll double bill the hours. It doesn’t always happen, and it’s typically only one employee, and a single client. I’m sure it’s a bug, but why?? Really need help… Lost job due to this. Anything similar please share! Crash when minimize window, a pop up appeared for icon bar asking to try. Did not think this was the cause until realized, the backup prior to ver. when restored, had only 24 issues during verification and was able to finish rebuild. Company using this file as working file now. I ask for materials deposits from my customers. 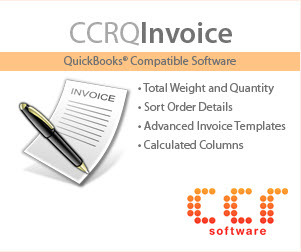 When I email their invoice to them, they can only pay once using the built in payment solution quickbooks (ACH). After the job is completed I have to get them on the phone to pay the remainder of the invoice or wait for a check. I run QB Pro 2016 and I have been told it has never been solved, so I have not upgraded, why bother. Generally I wouldn’t use QuickBooks Payments for that kind of billing, as you have discovered. Other payment solutions may be more flexible. It isn’t clear as to how you are billing the amounts, if the customer isn’t required to pay in full? Perhaps changing your invoice scheme would help, although to do that you may want to move to QuickBooks Premier, which provides more flexibility (sales orders). But without details I can’t say if that would be better.